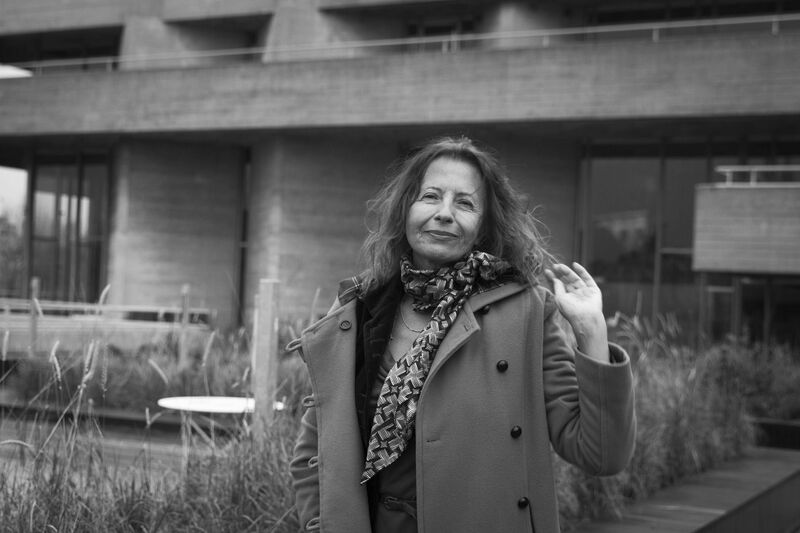 During the three-month Eric Rohmer season at the BFI Southbank, we spoke to actress and close collaborator Marie Riviere. 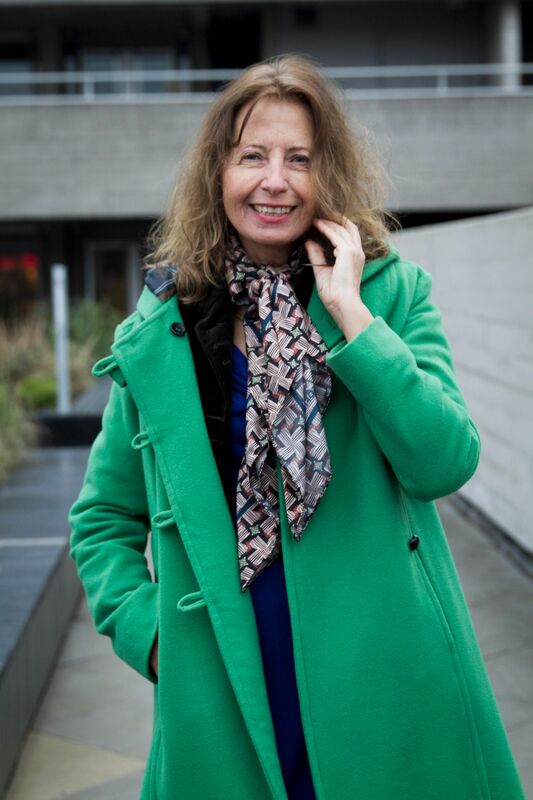 On Friday, 9 January, five years after the death of Eric Rohmer, actress Marie Riviere, a close collaborator and friend of the ever-consistent auteur and stand-out member of the French new wave, arrived at the BFI Southbank to take part in a Q&A for the screening of her and Rohmer’s 1986 film The Green Ray. The film, which takes its name from Jules Verne’s 1882 novel, follows Delphine (played by Riviere) during her summer vacation, a time in which she finds herself challenged by her fears of intimacy. The Green Ray won the Golden Lion and International Federation of Film Critics (FIPRESI) prize at the 1986 Venice Film Festival. Shot on 16mm and largely-improvised, the film is the fifth instalment in Rohmer’s Comedies and Proverbs series – the second of three series that he produced between 1963 and 1998 – and is Rohmer and Riviere’s most widely-regarded collaboration. For Rohmer, the importance of collaboration was always consistent throughout his work as a director and also as a film critic, where he first forged his path in cinema. “I became interested in cinema very late, when I was a student,” said Rohmer in an interview for the summer 1971 issue of the Film Quarterly. “Up till then I despised the cinema, I just liked reading, painting, then music a little later." This newfound interest lead to Rohmer’s decision, after passing through a few film societies, to start the film journal Gazette du Cinema in 1950 with fellow cinephiles Jacques Rivette and Jean-Luc Godard – though this only lasted for five issues. Rohmer then went on to join film critic Andre Bazin’s magazine Cahiers du Cinema along with Godard, Rivette, Francois Truffaut and Claude Chabrol. Bazin labelled this group the ‘young Turks’ or ‘Hitchcocko-Hawksiens’ – because of their admiration for Alfred Hitchcock and Howard Hawks – who, with their progressive ideas on cinema, paved the way for la nouvelle vague (new wave) of French directors that emerged through to the end of the 1960s. Rohmer took over Bazin’s post as editor of Cahiers du Cinema from 1956-1963 but, unlike the rest of la nouvelle vague who debuted in the 1950s, did not direct his first full-feature until 1966. La Collectionneuse (1966), released through his production company Les Films du Losange, formed part of Rohmer’s series Six Moral Tales and marked the beginning of Rohmer’s commercial success as a director. It was followed by My Night with Maud (1960), which received two Oscar nominations and Claire’s Knee (1970), which won the Grand Prix at the San Sebastian International Film Festival, as well as the Prix Louis Delluc and the Prix Melies. After the release of his sixth and final Moral Tale, Love in the Afternoon (1972), Rohmer – whose career as a director would continue for three and a half decades – discovered one of his most consistent collaborators, as well as a lifelong friend, Marie Riviere. I started acting with him. I was very young, around 24 when I was working as a teacher with very young children. I did this for only two or three years. One time, I was going to school to teach and I saw a film poster for Love in the Afternoon by Eric Rohmer. For the first time, I saw a film by Rohmer and was very touched by this cinema. I knew the films of Francois Truffaut as well, but this was a modern form of cinema, expressing values that I liked. I’d never seen anything like it before. Did you feel that Rohmer, out all of the new wave of French directors, stuck out the most then? Yes, he was the first director where I felt that, in the actors he used, he wasn’t just looking for a kind of humanity because everybody has humanity. When you see his films you see his soul and he had found something of that in each of his actors. You see the soul expressed through the language, through the way people moved their body and also through tears. So it was reality that was a very striking element in his films? And you contacted Rohmer after seeing Love in the Afternoon? I just wrote to him and he answered me. So, I met him and we started with a small role. He gave me a few sentences in Perceval le Gallois. Then we started seeing each other more and more, becoming friends, then he wrote the script of The Aviator’s Wife for me and the other girl (Anne-Laure Meury). It was a story he had before and, as I had the same youth that he had then, he thought of me for the film. I inspired him and made him think about moments of his own youth. My life inspired him because he had also had difficult times in his youth, he had lived in comparative poverty and you can see this in a lot of his films, people are living in difficult circumstances and they are having to be quite stoical. This was true to me at the time when I met him. I was living in a small attic room. That inspired him. He was also a schoolteacher as well wasn’t he? Oh yes but he was a real one. I was just a funny girl with young children. I didn’t know what to do with them. They were drawing all the time and we were listening to Soft Machine, Jimi Hendrix, fun things like that. I was a hippy, a hippy teacher to a happy class. He was a professional schoolteacher, very rigorous. How old were you when you sent the letter to Rohmer? What were your intentions for contacting him? I wanted to be an actress. Not especially with him at first. But with him, it became something wonderful. We had each understood something about each other. We connected. This doesn’t happen very often in your life. Maybe once or twice. I wanted to do it since I was a child at school. I liked to express my feelings. What were your memories of entering the offices of Rohmer’s production company, Les Films du Losange for the first time? I met him first. I was very shy, shy in front of a man who was very tall and serious, very imposing. I was afraid and didn’t know what to say. So the meeting didn’t last long and I left very quickly. I thought I’d never see him again. Two months later, he called me to ask me to say a few lines in Perceval. By then I wasn’t shy anymore. I’d seen what kind of person he was, which was a non-pretentious one. After, I felt better and better all the time. Did he explain to you why he chose you for the film? No, I think he liked my voice and did it just to see how I was, what I was like on film, how I said the lines. There was no casting with him. He just put you in a film and would see how you got on. If you were fine, then you would carry on. No auditions, no screen tests. So chance was very important to Rohmer’s aesthetic? Yes. In some of his films he would ask them to read a book or poetry aloud, just to hear them and see how they moved when they spoke. That was another way for him to choose them. Was literature an important part to his approach to cinema? It was important to him. He gave us the desire to learn and to read but he never made us do anything at all. Between your appearance in Perceval through to your leading role in The Green Ray, which was just screened here at the BFI Southbank, how did your relationship as actress and director develop? Better and better. I was a little tense on The Aviator’s Wife because it was my first big role. Then I did some others on the TV, not with him but other directors, and with the passing of time I became more relaxed and by the time it came to shooting The Green Ray, I was very relaxed and knew Rohmer well. You had developed a good friendship by that time? Yes, we saw each other all the time. Even when we weren’t shooting, we were still friends. I think his real friends were, after Perceval, not members of the new wave like Truffaut or Claude Chabrol, but his actors, young actors. It was a different world for him, as if he was reliving his own youth. Was he very influenced by the new wave of directors around him? Yes, he was a critic at the Cahiers du Cinema, writing on Hitchcock. He knew Truffaut, Chabrol and all those people from the new wave. But he had also been apart from the others, in his own world. As the editor of Cahiers du Cinema, did you feel he tried to educate you and the other actors about cinema and film theory? No, he didn’t. He wrote books and we could read them if we wanted but he never spoke this way to us. Not only because we were young but he didn’t want to bother us with that. I went to watch films with him and he gave me an indirect education. But directing actors is something else. When he was directing, he didn’t even talk about what the feelings of the actors were, it was just a matter of speaking their lines but they would talk a lot before they started shooting. So by the time you began working on The Green Ray, were the improvised elements in the film natural because of the relationship that had developed between the two of you? We tried in his office to improvise once or twice. It wasn’t very good, I wasn’t satisfied at all. But when we started shooting it was good because we knew each other. I knew what he was expecting from me so I gave him what he wanted. You’re credited as the writer for the film? Yes, because sometimes I would have to sit on a chair and start talking and he wouldn’t know what I was going to say. So, I would invent the scene. The credit was a way of paying tribute to the actor. There are a lot of directors who rob the actors by getting them to talk then they write down what they said into the scene and give it to someone else to perform. He would let me talk and just film it. It wasn’t robbery. And each scene in the film was one take? Was that a strict rule of his or did that just come about? Both. It was a rule because if he hadn’t had the rule of one take then he’d have to choose when he was editing and he didn’t want to choose. For him, it was the first one that was best. But he also wanted things to be simple. After The Green Ray you did one more film with Rohmer? I had a small role in the Four Adventures of Reinette and Mirabelle and then in An Autumn Tale. But I had been working with some other directors as well. But you always felt closest to Rohmer? Do you feel that when you were acting with other directors, that his influence was always present? No, I adapt to what I’m asked to do. After you finished An Autumn Tale, had the relationship changed a lot? No it just kept getting better. He didn’t change his attitude towards people. Once he had made his mind up about somebody, he just remained loyal to them. His wife, his children, his friends, he remained loyal. So consistency is important to him? Yes, with his actors and his young crew as well. We are all sad because he was like our father. And you remained friends with him throughout his whole life? Do you remember where you were when you heard that he had passed away? I was at home but I had been at the hospital the day before. I heard it from Rosette (actress and close friend of Rohmer), she phoned me and said she went to help him but he was dead. She saw him dead. Luckily, I saw him a few days before. But you managed to make your documentary In the Company of Rohmer just before he died? Yes, I did but it wasn’t really a documentary. It was around 2008 and he asked me to photograph him because he was bringing out his last film, The Romance of Astrea and Celadon. The Agence France-Presse (AFP) had a dozen photos of him that were really awful. So, I had a small camera with me and photographed him and he loved it. So I brought the pictures to the AFP and he was very happy. After I said, maybe I could film him. He wasn’t used to being filmed but I asked him if he wanted to be. He accepted but it was a film that I made with him. It shows his daily life. I also called the actors from Perceval, they come and they go, they sing and they have fun. It was like when we were young. When we used to meet each other, it was very light. We used to read poetry to each other and it was our education.